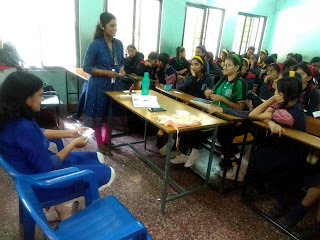 7-Feb-2019, Chinchwad (Pune): The Don Bosco Development Society (DBDS), Chinchwad organized a health awareness session for the adolescent girls in Geetamata English Medium School. 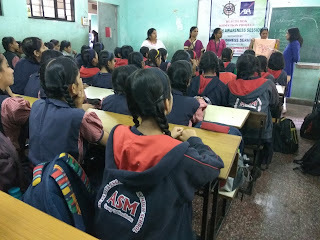 67 girls participated in the session held under the aegis of “Health Risk Reduction Project” supported AXA Business Services. 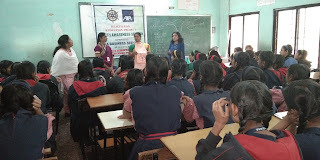 This was followed by a question and answer session in which the participants asked questions which were answered by the resource person. 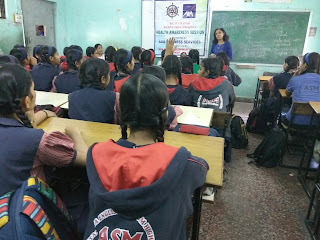 Mrs. Rajshree Deshkhire (DBDS -Staff) did the logistical arrangement for this session. 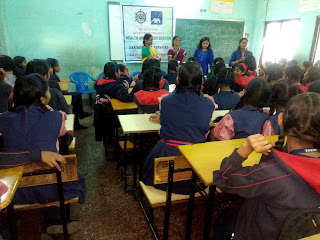 Ms. Lalita Chaudhari (DBDS- Coordinator) proposed the vote of thanks at the end of program. After the session snacks were served to all.